After more than a month of intense firefighting, crews have gained control of a relentless wildland blaze that ripped through parts of the city of Redding, destroying more than 1,000 homes and causing multiple deaths. State fire officials announced Thursday night that the Carr Fire — which was ignited by sparks from a trailer's flat tire in Shasta County on July 23 — was fully contained at 229,651 acres. "It's one of those big steps for the firefighters," Cal Fire Deputy Chief Scott McLean said. "They've got it. They've got a handle on it." McLean said that, while a milestone has been reached, the job is far from over. Firefighters will likely remain in the area for months to patrol the burn area and continue fire suppression efforts. "When a fire is 100 percent contained, that means we've got a line all the way around a fire, but also we've got a lot of work within that perimeter, taking care of all the hot spots, trying to prevent anything from developing," he said. "So there's a lot of work that still has to be done." The blaze became notorious for creating a "firenado" — an intensely rotating column of heated air that rose from the wildfire — that ripped through western Redding on July 28, leaving a trail of destruction in its path. "Those are not a common phenomenon," McLean said. "It's just amazing the destruction that these types of weather patterns produce." On top of the unpredictable fire vortex, McLean said there were other factors that made the Carr Fire uniquely difficult for first responders, including soaring temperatures and dry, gusty winds. "Looking back at the Carr Fire, we started just before June with 100-degree-plus temperatures, and those temperatures stayed consistent," he said. "So we've seen high temperatures consistently, we've seen the winds brought along with them, we've seen the erratic wind behavior, the erratic weather patterns that we've had to deal with so much this year — more so than years past." Firefighters haven't gained ground only on the Carr Fire. 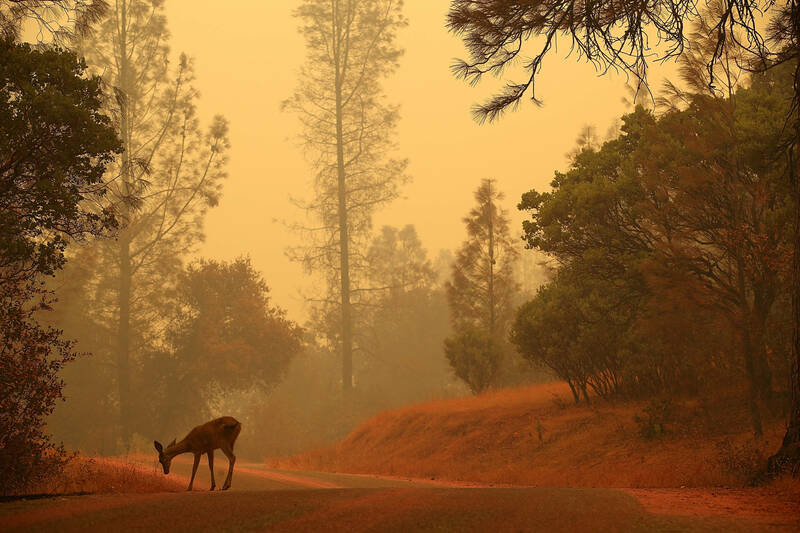 In Mariposa County, crews fully contained the massive Ferguson Fire — which forced the weeks-long closure of a portion of Yosemite National Park — on Aug. 19. Officials say progress has also been made on the largest wildfire in recorded state history, burning in Lake, Mendocino and Colusa counties. As of Friday morning, the Mendocino Complex Fire was 93 percent contained at 459,102 acres. Despite all of that progress across Northern California, McLean said firefighters are still up against extremely difficult conditions. "The only thing that's changed is the temperature and the humidity, as far as the weather and calmness of the winds," he said. "We're still dealing with topography issues, we're still dealing with limited access, and we're still dealing with the dryness of the vegetation." California saw five years of significant drought starting in 2012, followed by periods of heavy rain in 2017 and 2018. McLean said both of those have contributed to difficult fire conditions this year: The drought dried out plants, leaving a trail of dead vegetation that can fuel wildfires; the rainfall enhanced the growth of grass, providing additional fuel for the fires. So while conditions have been favorable recently, McLean said fire officials must remain vigilant. "We cannot be complacent," McLean said. "Even though the weather is looking nice, the Northern California predicted temperatures are predicted be back up into the mid-'90s soon. The potential is still there. Fires will still spark." This year has already been one for the record books when it comes to California wildfires. So far, roughly 1.2 million acres have burned across the state. To put that in perspective, last year California's wildfires scorched just over 1.4 million acres, and fire season continued well into December. "So we're at 1.2 [million acres] just a little over halfway through the year," McLean said. "That kind of tells you what the firefighters are dealing with."